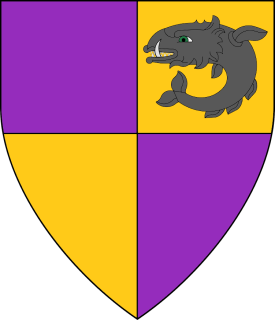 The An Tir Roll of Arms is a volunteer project, created at the behest of then Black Lion Principal Herald Marco Valentino. The Roll was created, and currently maintained by Frederic Badger serving at the whim of their majesties as Courroune Rouge Herald. 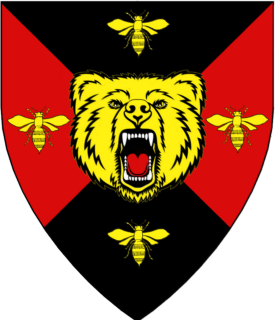 The site contains the majority of the registered arms of the residents of Kingdom An Tir, and serves as a resource for the Kingdom. There are 2966 entries in the Roll of Arms for An Tir. So long and thanks for all the ... fish? Working my way thru the backlog still. 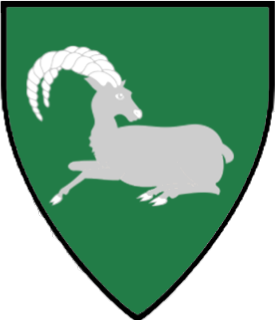 The registered heraldry for An Tir for December 2016 Laurel letter is up, mainly due to the help of Katla again. October 2016 Laurel Letter has been added with a lot of help from Katla jÃ¡rnkona. Ready all the news and updates here: News and Updates Page. 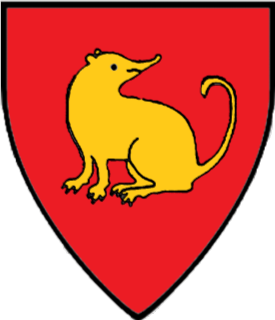 Blazon:Barry of four per bend sinister Or and vert, semy-de-lis counterchanged. 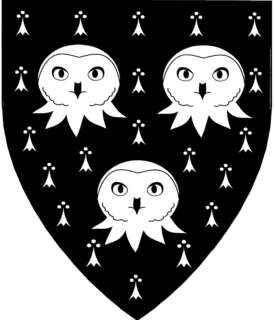 Blazon:Or, on a flame gules within a laurel wreath vert a snowflake argent, all within a bordure embattled sable.